Mouse anti Human kinesin family member 2C antibody recognizes the kinesin-like protein KIF2C, also known as kinesin-like protein 6 or mitotic centromere-associated kinesin. The protein encoded by KIF2C gene is a member of kinesin-like protein family. Proteins of this family are microtubule-dependent molecular motors that transport organelles within cells and move chromosomes during cell division. This protein is important for anaphase chromosome segregation and may be required to coordinate the onset of sister centromere separation (provided by RefSeq, Jul 2008). 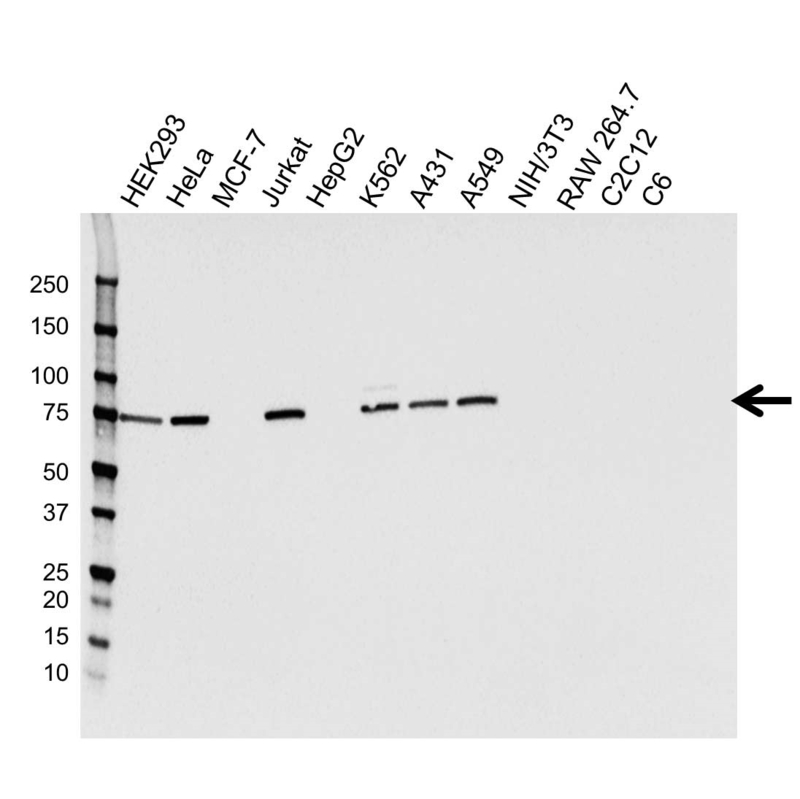 Mouse anti Human kinesin family member 2C antibody detects a band of 81 kDa. The antibody has been extensively validated for western blotting using whole cell lysates.